Several Injured by Turbulence Aboard American Airlines Flight from Aruba to Miami … “We were going to die. It was scary.” … I Wonder if that is what Natalee Holloway thought as Well? I wonder if any of the passengers aboard the flight from Aruba got the bigger message? Several passengers were injured, including two flight attendants, when an Aruba to Miami American Airlines flight 1780 experienced turbulence. The Boeing 757 experienced about 15 seconds worth of turbulence Tuesday afternoon while it was 30 minutes from Miami International Airport. As reported at Fox News, one passenger said as they fought back tears during an interview shortly after the landing, “We were going to die. It was scary.” Hmm, rather ironic that the flight took off from Aruba … maybe those aboard this flight now know what Natalee Holloway must have felt like when she was about to die in May 2005 in Aruba? The only difference is that the Alabama teen was not fortunate enough (pic)to have her plane land on American soil and her walk off alive. 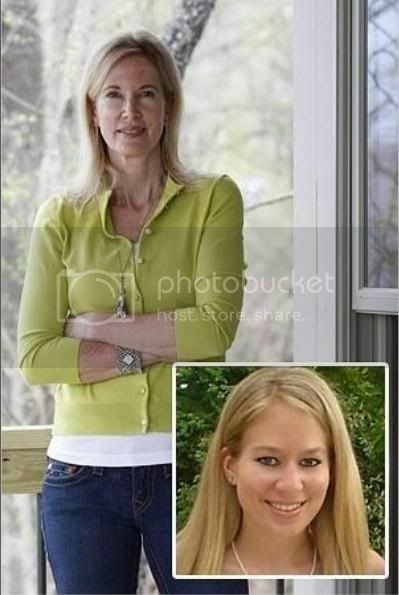 Prior to the recent horror in the skies while returning from a summer vacation in Aruba ... it is obvious that the Silva group had harbored no resentment towards Aruban/Dutch "higher-ups" who for over seven years have ... through a cover up agenda to protect their own ... prevented justice from prevailing for an 18 year old American citizen named Natalee Holloway. It is obvious that the Silva group harbored no resentment towards Aruban/Dutch "higher-ups" have forced the family onto a neverending roller coaster ride from h--- in the persuit for truth ... in the persuit of bring thier precious Natalee home to rest on American soil. While travelling the many paths of this journey called life ... it often takes a personal experience to serve as a catalyst in regards to truly comprehending the definition of empathizing. It happened to me in May of 2009. Silva’s wife was one of five people transported to the hospital for minor injuries. Family friends said the turbulence caused her to fly out of her seat. Her husband said she wasn’t buckled up because she was going to check on her son. Javier Silva, 8, was in the bathroom when, without warning, he said he felt the plane drop. The Silvas were part of a group of 11 friends and relatives returning to South Florida after a summer vacation in Aruba. Since Natalee disappeared her mother has used any opportunity to keep the story alive to pressure the government of Aruba to solve this case. "There are just no words to explain the frustration level that we have had to experience in dealing with officials from the island of Aruba," she says. Last fall, Twitty called for a boycott of Aruba. The island's tourism industry has suffered: Travel bookings are off more than 4 percent from a year ago. Does she still support a boycott of Aruba? The Dutchman Joran van der Sloot plans to marry in the Miguel Castro Castro prison in San Juan de Lurigancho, where he remains in detention for two years. This was revealed yesterday his lawyer, Max Altez. But the lawyer declined to comment on the identity of the bride or the wedding date, but it transpired that this year. In June last year, the media reported that Figueroa Leydi Uceda (22) had had a child with the murderer. However, she denied this version. He said he did not know him and that the only criminal visiting a relative. Published on Thursday, July 12, 2012 at 5:29:02 p.m.
(AP) - Joran do not get married. That says his lawyer Maximo Altez against AP News. Peruvian media mention about an upcoming marriage of the Dutchman, but true according to the counsel of nothing. According Altez the media have something in the mouth. "I never make statements about the private lives of Joran," says the lawyer. Various media reported that Van der Sloot this year was going to marry an unknown woman. Who would marry the frankengoon? The Peruvian counterpart to Bubba? LOL. I find Casey Anthony to be quite fitting. They would get along great, if they didn't kill each other over who is the biggest narcissist. Also, Casey could hide out in Peru. in oranan of morning capitan of one tankero in cercania of aruba is beat alarma for one tripulante cu not was give sign of life. at once owing to ask autorisacion at directie scheepvaart if they can hancra in awanan teritorial of aruba for so one medico can controla the person. after of some hour personal of kustwacht, police owing to succeed descend the curpa for so transporte at platform for doctor can conduci his chekeo medico. doctor lin owing to constata dead of the tripulante. cause of the dead cu we can owing to comprende is cu the person will have to owing to achieve one atake of curason. fiscal owing to ask for take the curpa in beslaag for so conduci one autopsia. ORANJESTAD — The only Hyperberic Oxygen Tank (HBOT of decompression chamber) on Aruba is sold and will soon, possibly within two weeks, be shipped to the new owner in Trinidad. Current owner, doctor Ike Posner of Hope Clinic informed the Amigoe. Diving schools are concerned about the safety consequences of the diving sport on the island and possible negative consequences for tourism. A decompression chamber is namely used to treat divers with caisson disease (decompression sickness/the bends). If a diver runs into problems and requires treatment, he/she will have to be flown by air ambulance to a neighboring country that has a HBOT. Diving schools Fly & Dive and Red Sail Sports expressed this concern before the Amigoe. The departure of the decompression chamber has other consequences then for divers. The HBOT is also used to treat chronic wounds of diabetics, treatment and prevention of amputations and cases of gangrene, bone infection, monoxide poisoning and dieing off of tissue due to radiation damage. According to Hope Clinic, it regards one or two new patients per week who require fifteen to twenty treatments. “That’s our larges cliental basis.” said Posner. So we can expect more "suicide by drowning" deaths in Aruba? "Heart attack" while diving came to mind for me too. A 22 year old woman (Debby van der Woude) died recently in Curacao from a diving incident, her boyfriend that survived the incident was taken to Bonaire for chamber treatment since the one in Curacao was not functional. Maybe that's what they plan on doing in Aruba too? WILLEMSTAD — 22-year old Deborah ‘Debby’ van de Woude died Saturday afternoon due to a diving accident at Marie Pampoen. Her 34-year friend Andy Kirchner, diving instructor, was hospitalized in critical condition. It was painfully clear that Curaçao still lacks the facility for divers suffering from decompression sickness. Kirchner had to be flown to Bonaire. If I leave Aruba, this case will vanish like Natalee did. I am her voice for justice, for human rights, and I will stay to ride this out. Joran's next court date is September 1. At that time he should get thirty more days and that will take us to October 1. Staying on this will consume the rest of the summer and early fall, and Jug needs to go back to work. Preparing to settle in for a longer period, I have to make the difficult decision to move out of Natalee's hotel room. It's a major first step. A very hard one. The Holiday Inn has very generously provided our family a block of rooms free of charge for the six weeks we have been here. We are very, very grateful for their hospitable gesture beyond the call of duty. But it's time to move. The Wyndham Hotel gives us a reduced room rate on a very nice suite. Having a kitchenette will be very helpful, economically speaking as well as for convenience, as we hunker down for the duration of Natalee's case. We fold up our prayer shawls, carefully put the notes back in their envelopes, and turn in. "Good night," Sunny says, reaching over to turn off her light. "Night," I reply. And in a minute or so I reach over turn off mine. And so ends the six-week vigil in Natalee's room. Sleeping in her bed, on her side, in one of her shirts. The lamp is off, but I know the light of hope still sines. And it's okay. It's okay. If it's true, there must be some ulterior motive to it. Money? Or maybe she just wants to be on his visitor's list when he comes to Alabama and would have to be "family" for that to be possible? Just two years into his 28-year murder conviction, Joran Van der Sloot is set to marry inside a Peru prison, his attorney Maximo Altez announced. His attorney informed Peru media of the pending nuptials without providing any details on who the bride might be. A woman would have to be completely desperate to marry this guy. Pathetic. I guess it is a woman? the barco "don juan" of alrededor of 30 leg of length cu 5 tripulante abordo was yegando we island saturday morning for of colombia, for supuestamente trece refresco y "jam’s". douane lever abordo algo happen of 11or just after cu past owing to enter y owing to canta bingo at once. all the tripulacion is deteni, same is the more of 100 kilo of cocaine y enough marihuana cu owing to stay in beslag! "tur cos is part of one investigacion tumando luga at aruba", so one of the investigadonan owing to let we know. is for of some time end autoridadnan principalmente douane was siguiendo pace of the are here of close y awo owing to achieve is good for "hit" the barco y frustra his intencionnan at instant cu past owing to mara at platform of barcadera. was one work of equipment among police, douane y guarda costa cu now owing to strike low world of drugs one sla much duro cu the hayazgo here. of acuerdo cu we informacionnan, all the sospechosonan is colombiano y all 5 is person man. here is deal of jose portillo lozano cu is the capitan naci 28-09-1958. past owing to become bad at first instant cu dolor of prostaat but after of owing to wordo take away hospital owing to go buske bek y past owing to stay detenbi also. the others is eusebio de steal ramos cu is the maquinista y naci at colombia 12-03- 1940, willinton ibarguen allin the mariner naci day 20-03-1974 at colombia, edinson cordoba naci 05-11-1975 trahando because; mariner y finalmente tony reales naci 13-05-1985 trahando also because; mariner y naci at colombia. they owing to leave for of riohacha colombia cu some box of refresco y jam’s cu they have to owing to come trece aruba but owing to percura for sconde more of 100 kilo of cocaina in the boat, procedente for as wordo bendi on we island or for continua for one another destinacion. thing the miembronan of douane owing to haci one tremendo trabao hour the boat owing to enter. owing to enter the boat y in the compartimento of engine owing to come come across cu the cantidad of drugs scondi in the tankinan scondi. "depende for cua market the drugs here is destina, his prijs can varia. because if is for follow for merca or europa, we is talk the hour of one cargacion miyonario", so one fountain for of police owing to sigura at we. the boat self have one parecido of the barconan of piscado colombiano cu is frequenta we island cu regularidad. "si we owing to arrive of grab the boat here end my do not assure, but the name is conoci si", so one of the investigadonan owing to let we know. the investigacion self was tumando luga at ground but the work owing to cuminsa some mile for of we island, hour cu the barco owing to enter we awanan teritorial. owing to keep the boat mara y at once personal of douane at barcadera owing to lever abordo good arm, y owing to ordena they for permiti the control rigoroso. here owing to come canta bingo y hour owing to descubri the cantidad of alrededor dim ace cu 150 package of drugs owing to detene all the tripulacion y notifica kustwacht on the hayazgo y also police. owing to confisca the drugs at platform self. owing to dicidi at once also for tow the boat take away this savaneta at base of kustwacht. polisnan of departamento of crimen organisa owing to come at the sitio y take the investigacion over. the tripulacion self owing to "reda" they self because was have very some mercancia abordo, mucho less of locual the barconan is trece we island semanalmente. then by instant cu owing to lever abordo the suspicion owing to become more big cu the barco here is treciendo "algo mas" cu do not immidiately the bit refresconan ey. now the work of investigacion of police will continua here at aruba for verifica that is the agencia cu will have to did take the carga, cu that the are here have contacto, that is they clientenan, etc. do not descarta cu more detencion will cay in the next oranan. the cantidad of drugs take in beslag still do not completamente assure, but is talk of on 150 package of cocaina, cu is pisa more of 100 kilo, although cu have fuentenan is sigura cu the is on 200 kilo of cocaina! then, here will have to give autoridad one chens for end of count ; the weight completo y for follow investiga if will can have more drugs still scondi in the barco colombiano "don juan". not can stay without subraya the mature cu the work of equipment here among douane at first lugar, police y guarda costa always is give good result y the trip here this not have doubt. comunidad is contento of hear the type of noticianan so, esta cu autoridadnan is work in form strategico for less more tanto drugs for of market. this without doubt is one cantidad much big of drugs cu now will not lever neither the market local but niether the market internacional. Page created in 10.213 seconds with 20 queries.